I am constantly jealous of both Jeff Friesen‘s exceptional photography and his beyond-exceptional LEGO builds. As the winner of our 2017 LEGO Builder of the Year award and the author of the book LEGO Micro Cities, Jeff is always on his A-game. This castle with lovely waterfalls made from trans-blue curved panels and Technic driving ring extensions for turrets is just awesome. 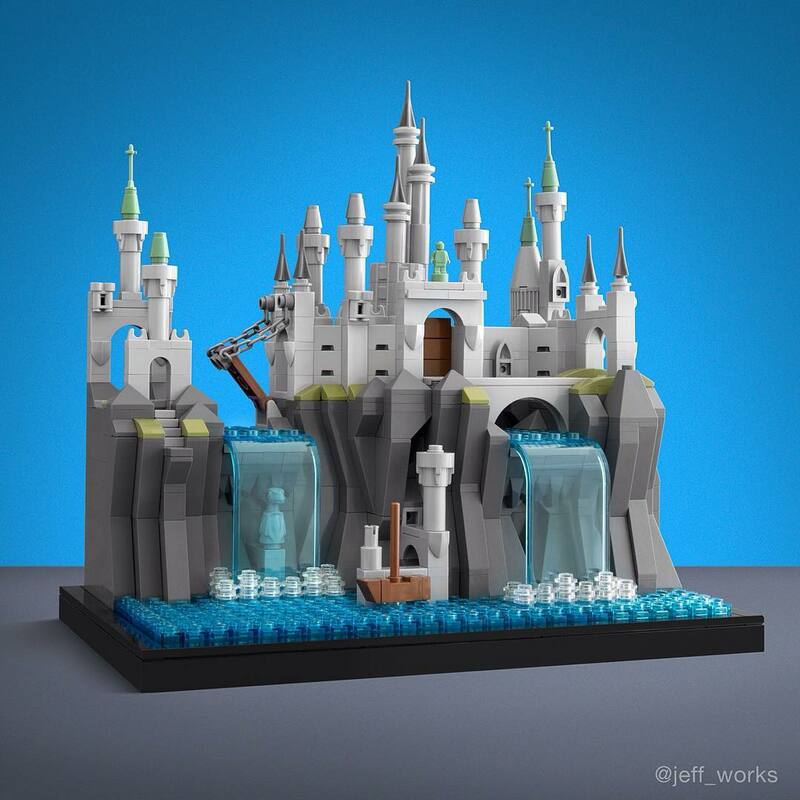 Just a few weeks ago we wrote an article on another cool LEGO castle of Jeff’s. Also, stay tuned for our review of his book! The driving ring extensions lend the image of giant, helmeted heads standing watch over the castle. Well, except for the one on the far left, which was clearly distracted by a pretty lady-statue off in the unseen distance.